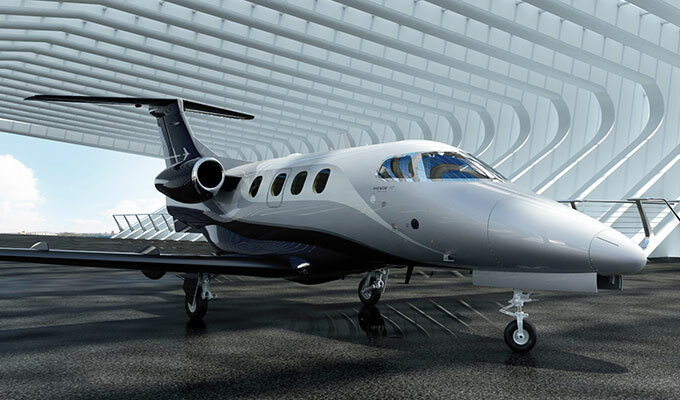 Manufactured by the Brazilian aerospace firm Embraer, the Phenom 100E is a very light business jet with comfortable seating for up to 6 passengers and a six-time winner of Robb Report’s Best of the Best award in its segment. 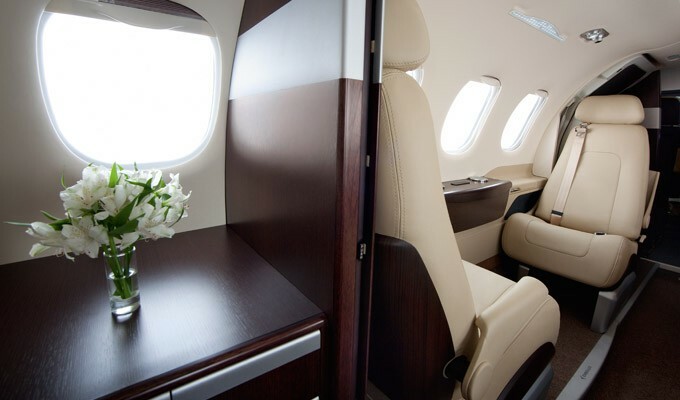 The Phenom 100E is one of the roomiest aircraft in its class and has interior upgrades which include an increased aisle area, as well as relocated power outlets with USB charges. The aircraft is a leader in performance and flies just under 1,200 nautical miles and takes off from runways as short as 3,199 feet. Additionally, it is one of the fastest jets in its category and has the largest baggage compartment in its class. Ten years ago Embraer formed their Executive Jets division, with the intention of becoming a leader in business aviation. Including the Phenom 100E, the division now has seven business jets in production with more than 850 aircraft in service. Baggage Capacity: 70 cu ft. The Phenom 100E is the evolution of the roomiest aircraft in its class, bringing other interior enhancements, such as a new floor sill, featuring a straight line design to increase the aisle area, as well as relocated power outlets with USB chargers. It comes equipped with many innovate features such as making it’s 4’11” cabin height and 5”1” cabin width look and feel even bigger by using upscale automotive-style accents, LED lighting and single-piece sidewalls and headliners. The aircraft is a leader in performance. It flies just under 1,200 nm and takes off from runways as short as 3,199 ft. It is one of the fastest jets in its category and had the largest baggage compartment in its class. For Phenom 100E charter rates and availability, please submit the flight request form or call our agents at 1-877-281-3051 for 24/7 support.